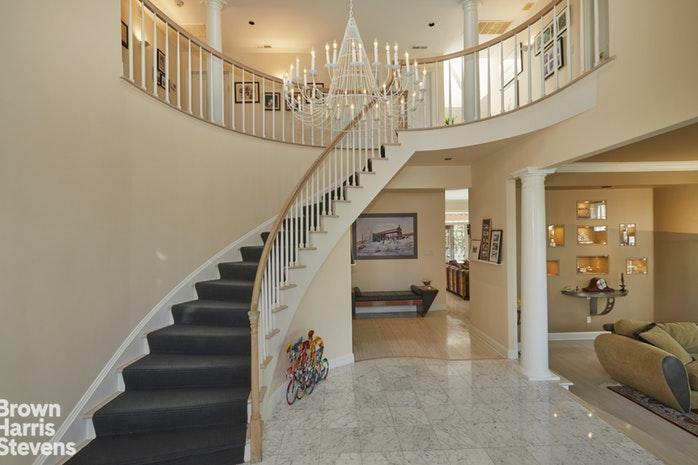 This sun-drenched, spacious home has it all. Located on Independence Avenue, one of Riverdale's premier streets, it offers beautiful Hudson River views.This elegant home built in 1992 opens onto a marbled foyer with a dramatic twenty-five foot center hall ceiling with a sky light. There are a total of seven bedrooms many with incredible views and seven and a half bathrooms in the main house. The house has central air conditioning with six zones. Notably, the entire compound can be powered by a private generator that operates in case of need. The main floor of the house has a living room with a wood-burning fireplace, a formal dining room, a library/office with built-in bookcases, and a guest bedroom with bathroom en suite. The big airy airy eat-in kitchen features a sky light, walls of windows, as well as a comfortable banquette. With multiple ovens, sinks and dishwashers, a stovetop, warming drawer, a large granite center island, subzero refrigerator, and a large pantry with a wine fridge and additional dishwasher. It is a cook's delight.Adjacent to this open kitchen is the family room with another wood burning fireplace. Adding to the allure is the property's landscaped garden, fully equipped for outdoor living and entertaining. A heated pool, children's play area, an oversized deck which is outfitted with a stainless steel barbecue, stove and sink. There is a tree house and swing set in the play area. Sitting off to the side is a separate Pool House with two changing rooms, a bathroom as well as an entertaing area and game room. The second floor has four bedrooms. The master bedroom suite includes a sitting room with Hudson River views and a wood-burning fireplace, as well as a large walk-in closet that functions wonderfully as a dressing area and shows off built-in cabinets. A marble bath with double sinks, separate shower and Jacuzzi complete the suite. The three additional bedrooms, two of which have bathrooms en-suite have beautiful river views. There is a fourth bathroom on this level The lower ground floor has two additional bedrooms with bathrooms en suite, a gym, laundry facilities, recreation area, storage, boiler room and access to a two-car garage. This offering also includes five additional outdoor parking spaces. This fine Riverdale home is steps away from the revered Wave Hill Public Gardens and Cultural Center. 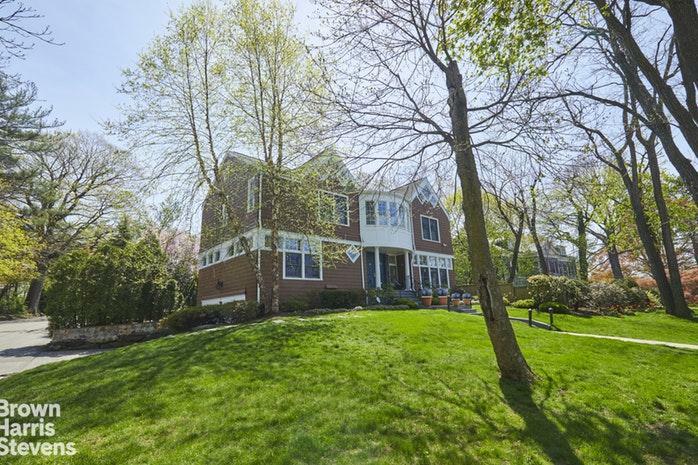 It is situated close to the city's finest private schools, houses of worship, parks and The Metro North. This property is just 20 minutes from the Upper West Side.